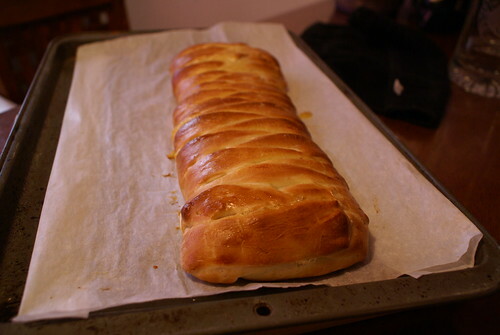 I've been eyeing this Braided Lemon Bread recipe for a long time, but I've always been leery about trying it. 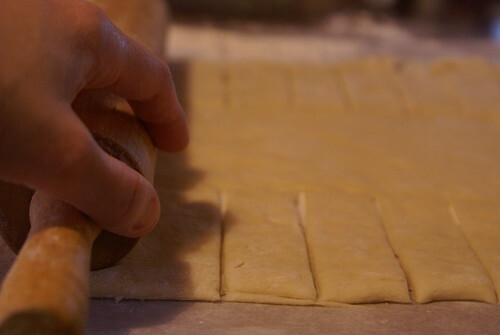 In my head I loathe dough recipes that involve rolling, cutting, etc. I always use too little or too much dough, things are sticky, things are ruined, and the cat always tries to help. But today? Today was the day. I'd bought all the ingredients yesterday and it didn't matter that there's no room in the fridge or the freezer for leftovers or that it's extremely unlikely Chris will like or eat this stuff (well, there's a chance he might eat it, unlike this Citrus Cranberry Cream Cheese Danish I want to try). I was making this bread. The dough for this bread was extremely sticky when it was done rising, but a light dusting of flour (not the heavy coating I gave it for fear of stickiness) made it really pliable and easy to work with. 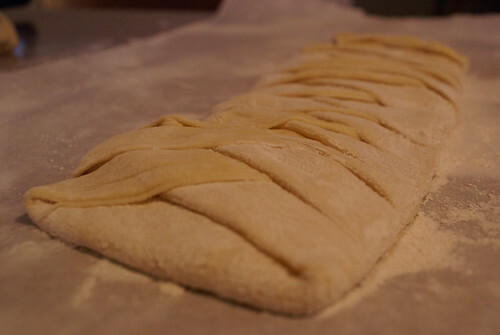 It braided pretty easy and I even had chunk of leftover dough from trimming that I tossed into the freezer for later baking session. It smells delicious and I can't wait to try it after it's cooled a bit. 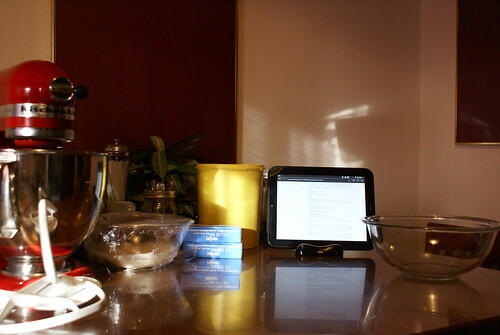 I took a bunch of photos again so here's a slideshow of the whole process, including making the fragrant lemon curd.